I have a confession to make. With Creed II, I have seen more Creed movies than Rocky movies. Perhaps someday I’ll get around to watching the rest of that series, but I was never much of a boxing fan and presumed the Rocky sequels didn’t have much to offer or add to the character journey of Rocky Balboa. Nevertheless, I do know what happens in Rocky IV, the film which Creed II is as much a follow-up to as its more immediate predecessor. Russian boxer Ivan Drago kills Apollo Creed during a match which Rocky avenges by beating Drago in Russia as a heavy-handed metaphor for American capitalism triumphing over communism. The fallout from this story was pretty much what a sequel to Creed was always going to be. The first movie needed to establish Adonis as a fighter, but there’s just too much dramatic potential in a Creed-Drago rematch to ignore. And generally speaking, Creed II lives up to that potential. After winning the World Heavyweight Championship, Adonis Creed (Michael B. Jordan) is challenged by Viktor Drago (Florian Munteanu), who’s been meticulously trained by his father Ivan (Dolph Lundgren) seeking revenge on Rocky Balboa (Sylvester Stallone) for defeating and humiliating him thirty-three years earlier. Provoked by the Dragos taunts and against the advice of Rocky, Adonis accepts. Meanwhile, drastic and emotional changes in his personal life and relationship with his wife Bianca (Tessa Thompson) are also impacted by his turbulent feelings and choice to fight. Essentially the movie is a rematch of Rocky IV, not just in plot but presentation. Rocky IV has the reputation of being the dumbest of the Rocky series, not only for its propagandic patriotism, but for bizarre ideas like the robot Rocky gives Paulie as a birthday present. And since Adonis decides to fight Viktor for pretty much the same reasons as Rocky fought his father, Creed II could be seen as an attempt to do that same kind of story right. And it does. 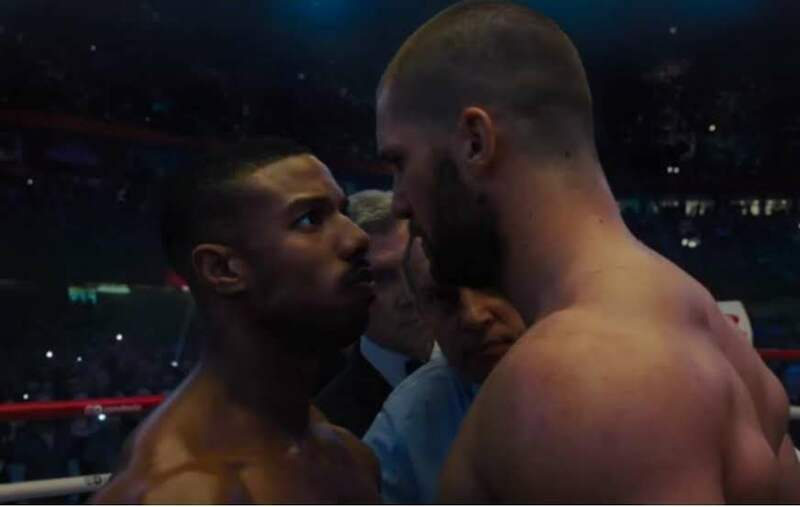 While the movie’s got a formulaic trajectory it doesn’t significantly stray from, and there are two matches, one at the end of the first act and the other in the climax, that both garner the unsurprising though necessary outcome, it’s alright, because Creed II isn’t really about the fight anyway. In between the typical plot points, the fights themselves, there’s a lot of new and compelling drama in Adonis’ life, particularly developments in his relationships with Bianca and Rocky. Not only is it all effective but you really feel the family dynamic between these characters. It’s helped of course too by the great performances. Michael B. Jordan continues to cement his status as an incredibly talented and versatile actor as Adonis is put through so much pain, both physical and psychological, and Jordan captures all the shades of the complex impact it has on him. Tessa Thompson is wonderful as Bianca, carving out her singing career as she’s emotionally affected by Adonis’ fights, and she and Jordan have really great chemistry as well. And if this truly is Sylvester Stallone’s last appearance as Rocky (don’t put money on it), it’s a great one to go out on. Like in Creed, he’s really giving an immensely dedicated performance with a surprising level of nuance. Munteanu is decent, as is Russell Hornsby as a shameless promoter. Phylicia Rashad returns as Adonis’ stepmother as does Brigitte Nielsen as Ivan Drago’s now ex-wife. And speaking of Drago, Dolph Lundgren is actually surprisingly good in this movie. In a way he’s the main villain more than his son for essentially grooming his kid to fight Adonis, but there’s also some real pathos to him. If my understanding that Drago was characterized in Rocky IV as an unbeatable, uncaring machine is correct, Creed II makes him human, and Lundgren is more than capable of showing that humanity. But all this in mind, Creed II isn’t as good as its predecessor. Steven Caple Jr. takes over as director from Ryan Coogler, and he does a great job for such a young director, but doesn’t quite have the formers’ skill and style. The training montage for instance, the staple of these movies, is fine, but not quite as interesting as Cooglers. There’s no equivalent of the previous movies’ famous one-shot fight sequence either, as unyielding and tough as the scenes in the ring are, the presentation being just mediocre. The predictable story is nothing very ambitious, and it can’t be denied that the plot mostly following the blueprints of Rocky IV is a little uninspired. Regardless, Creed II is a worthy follow-up, well-performed and paced, with plenty of heart and strong character development. That’s to say nothing for the fights themselves, which mean a lot more in the context of the character motivations, and every punch is still rawly felt. With this story done, the series can also begin to movie away from the Rocky legacy and start forging its own path as a film series. Creed has certainly earned the right to come into his own.